Total Glass and Paint is the place to come to because we do it right the first time! Our goal is to simply offer our professional service, give our best advice and provide our customers with quality products. We have been selling and custom matching paint since 1960. If you are struggling and tired of trying to find that “perfect color”, we are here to help. Bring in your bedspreads, drapes, rugs, etc. and we can create your perfect color! Pratt & Lambert is known for uncompromising quality,unparalled performance and incomparable color! What ideas on colors? Try the new innovative color visualizer for ideas! Check it out here. Color has the ability to impact the appearance of your home, which is why it’s important to choose a color that complement the age of the wood, grain, and texture. We’ve worked hard to bring you products that will protect and enhance the natural beauty of all types of wood. We offer a variety of colors in different levels of transparency so that you can achieve the results you envision. Color Ideas Here. Bringing together two trusted and respected brands in 2015 – Devoe® Paint and PPG Pittsburgh Paints – the PPG Pittsburgh Paints® brand offers over 300 years of combined tradition, expertise and knowledge. Try their Virtual Paint-a-Room, for color ideas! Flood products are designed to restore, protect and beautify natural woods and other surfaces. They provide consistent, reliable performance, with unsurpassed surface penetration and superior adhesion. Ideas for colors and uses – check here! 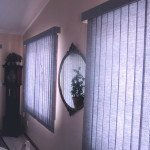 When we wanted to purchase high quality blinds and accordion shades for our home, we went to Total Glass to help us make a good choice. Mark installed them for us quite a few years back. When we had a piece break and had to replace a shade, Mark went out of his way to help us with the warranty issue and with reinstalling the shade as well. We received absolutely fabulous service and are grateful for their expertise because the blinds and shades still look as good as the day they went in. They know quality and durability! **For faster service, please call 2626734090 or stop by our showroom: 841 Grand Ave Hartford. 8-5:30 daily; 8-3 Saturdays. Please note: This form is NOT for sales people!! Please fill out form below, we'll get back to you soon. Copyright © 2014 - Total Glass Service. All Rights Reserved.